Tails (The Amnesic Incognito Live System) is a free live USB security focused debian based Linux operating system. You can run it from a DVD, USB stick, or even from SD card. The main goal of this OS is to protect your privacy and anonymity. At least 4 GB of USB stick/Drive. In this tutorial i am using Ubuntu 16.10, Transmission BitTorrent client and 8GB USB Stick. You can download the Tails OS ISO image via any Bittorrent client or via tails Firefox add-on. 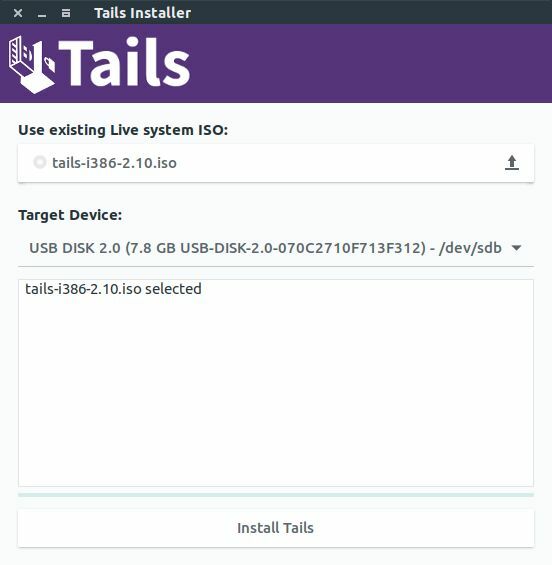 To download and verify the Tails ISO file via BitTorent, download the below tails OS torrent file via any BitTorrent client or use the default ubuntu torrent client Transmission. 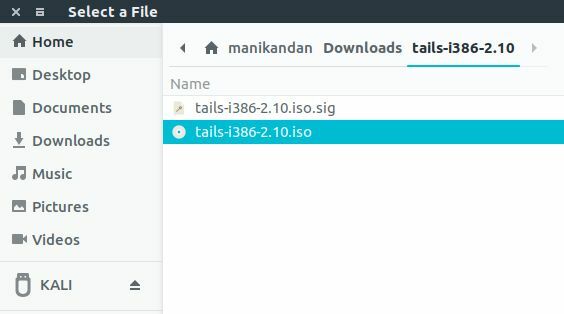 If you want to download and verify the Tails ISO file via firefox, download the below tails firefox addon. This will verifies your download automatically. The download size is around 1.2 GB. 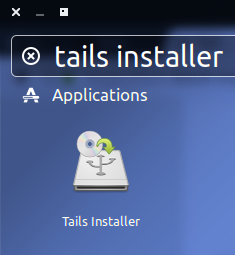 After the OS download, install the Tails installer. It will help to install the Tails OS. Open terminal app by searching terminal in Ubuntu dash. In your terminal type the below command and hit enter. Then type your ubuntu root password. It will enable the universe repository to your system. Then execute the below command in your terminal. And hit enter key confirm the installation. It will add the PPA repository. Then type the below command and hit the enter key. Type Y and hit enter to confirm the Tails installer installation. 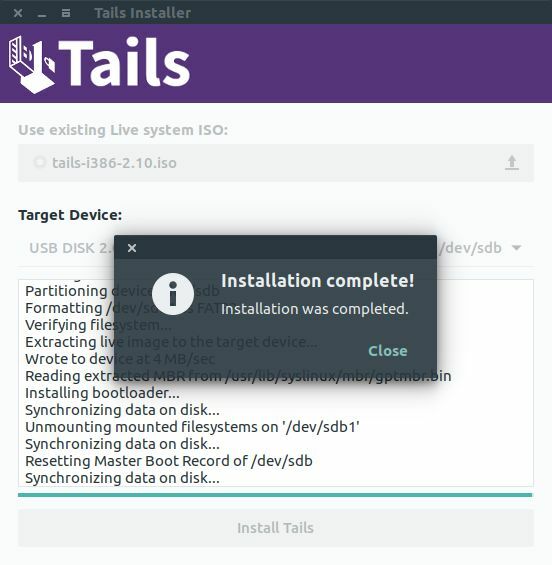 To install the Tails OS, Plug the USB stick in the computer. Then in the Ubuntu dash search Tails Installer and click the tails installer to start it. Then click the Install button.It will install the Tails on a new USB stick. Click in the Use existing Live system ISO option and Browse and choose the ISO image that you downloaded earlier. And then Choose your USB stick in the Target Device drop-down list. Then click the Install Tails button to install it on USB stick. Click Yes to confirm it when asked.It will take some time to install.At the end, you are asked for your Ubuntu administration password twice. Open this page on your smartphone, tablet, or another computer. Or print this page or write down this page contents on paper. Shut down your computer while leaving the USB stick plugged in (Don’t remove it). Start your computer (Do not remove the USB stick). If the computer starts on Tails, Choose Tails and press Enter. After some time, another screen called Tails Greeter appears. In Tails Greeter, select your preferred language in the drop-down list on the bottom left of the screen. Click Login. After within one or two minutes, the Tails desktop appears. Thats it. The installation completed successfully. If the computer starts on another operating system or your current OS, just shut down the computer. Start your pc again and Press bios boot menu key for the computer. Note: The key will vary depending on the computer manufacturer. If a boot menu with a list of devices appears, select your USB stick or removable device and press Enter. Note: If it still fails, you need to enable or move the removable devices or USB media boot menu in the top of the Boot Order in your bios. Note: Please note that by default, the administration password of Tails is disabled. You can set it via the Tails Greeter when tails starting. 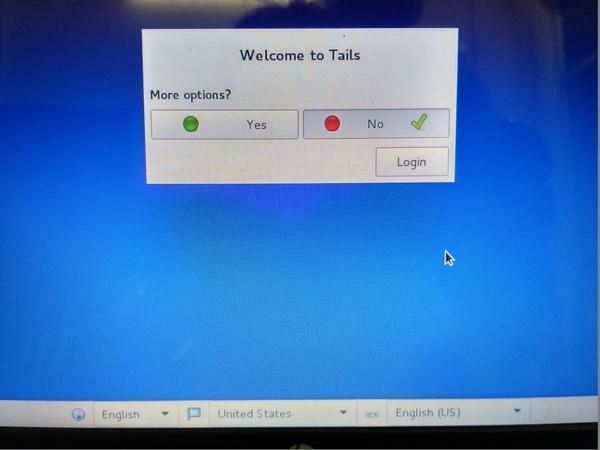 In the Tails Greeter welcome screen, click on the Yes button. Then click on the Forward button. Type your favorite password in both the Password and Verify Password text boxes in the Admin password portion.